Well, this image really tells the story, folks...on a number of levels. First, physically I truly do feel "bent out of shape" and not very mobile. My mom used an expression when she did not feel up to par that I always thought was quirky but it soooo works in describing it...A WET DISH RAG. You know how a wet cloth seems limp, and shapeless..well that is me at the moment. My shoulders and hips are flaring and not letting up despite pain patches, ointments, rubs, hot tubs, and now an increase in prednisone. 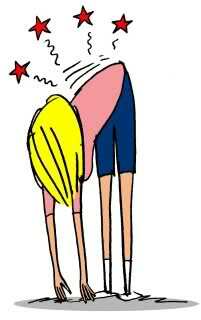 Mentally I feel like the gal in the cartoon because I am really worn out from the pain. I am trying to stay upbeat and on top of the frustration but sometimes it becomes overwhelming...I just ordered some meditation "cards" that I think will be very interesting..I will keep you posted on it. I really like guided imagery. I have several CD's and they truly help me to relax and even ease pain for me. I think it may be because muscles tense up when you have joint pain and so when my shoulders, in particular, are bad the muscles around them and even in my neck are sore and achy. Doing the meditation of guided imagery works really well to take me "to another place" and relax. I do not like pain medication as it makes me feel "loopy" and really bothers my stomach so I have needed to find alternatives like gentle massage, guided imagery, etc. The reason for all of this is the need once again to switch medications - this time after only 2 and 1/2 years on Remicade. It took a week or so (which is thanks to my amazing rheumatoligist and his staff) to get approval from our insurance company after we made the decision that without the pred. the remicade was simply failing. I now have to wait three more weeks till I start on the Simponi because the protocol requires that your current medication has to be out of your system and since my next remicade infusion would have been three weeks from now I have to wait until then (despite the fact the stuff no longer works!) The worst part of this is that three weeks takes me into a very busy time at work, year end reports, etc. and so I am not looking forward to handling that and dealing with what is likely to be an increased pain load. A topic that I have always found interesting with regard to RA is if, when, and to whom do I share the details of my health situation with regard to RA? I think this is a totally personal decision and one that each of us has to come to terms with, understanding that the answer may change over time. 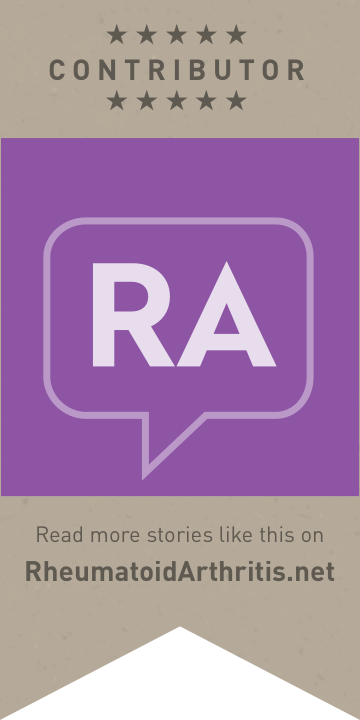 As you progress down the thorny and unpredictable path of RA, not only may you want to share, but you may need to share since it could impact your work, social life and other commitments and obligations. There are a variety of reasons behind your decision and I would suggest that at some point, you reflect on these so you are satisfied with your choice. Consider that you may be afraid that people will treat you differently when they hear about RA and the details that surround it and so that may be holding you back from sharing. I remember having that concern but truthfully the way you handle the "telling" and how you function day to day will really set the tone for how folks treat you. I try to explain right from the get go that RA will not rule my life and that I am working to manage it and control it and that with today's modern treatment options I plan to do just fine. That sets the tone for how I expect to be treated and puts peoples minds to rest. I think it is fine to just come right out and say, "please do not treat me like an invalid. I will let you know when I need additional assistance. I do want you to know that this disease does mean that I will have to make some changes in my life but I will keep you posted and up to date on what they are and how I am doing." Simple, to the point and direct. Now, obviously this is not necessary with just anyone you meet and so you need to tailor what you say and how much you share in terms of detail. I know many folks are concerned that sharing in their work environment could impact their job status, insurance, etc. and so they choose to remain silent. I am fortunate not to have that issue so my decision was not effected by that reality. I very well may have chosen not to share either if that had been my situation. Depending on your job situation, these issues need to be considered before you decide what to reveal. Studies have shown that keeping your RA a secret can negatively impact your mental well-being and that is certainly true for me. I found it liberating to get it "all on the table" and not have to try to recall if this person or that one knew about the RA. On the other hand, some people really want and need their privacy and I believe actually do better psychologically controlling who and how much they share. Some folks just don't think it is anyone else's business and they prefer to keep their personal medical history to themselves. Then there are the folks who say that if someone asked they would share but they feel no need to go out of their way to offer the information. I say do what makes you comfortable! That really is the key. If you find you are content and satisfied with your decision then in my book that is what matters. One of the decision makers may be how severe your RA is. For some folks social and business expectations like hand shaking is excruciating so you may have no choice. On the flip side, if your symptoms are pretty well under control you may find it works better for you to not share. The fear of being discriminated against socially and/or professionally often rules the decision. The truth is not everyone deals with hearing about RA the same way. People may suddenly exclude you from social gatherings or professional advancement and that is certainly worth consideration. One thing I do try to do almost all the time is EDUCATE! 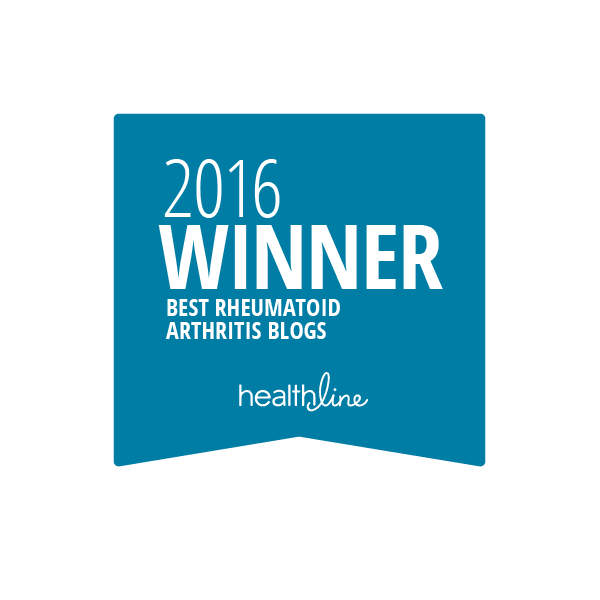 Most folks simply do not know what Rheumatoid Arthritis IS and how it differs from other forms of arthritis, its autoimmune nature, etc. I almost believe it is an obligation to share this so that people understand the reality of RA. They say knowledge is power and if we are to make progress with research and treatment then we need to raise awareness. Who knows who you may reach with your explanation? -a congressperson, a scientist, a foundation officer, etc. any of whom may well be able to effect change through legislation, research or funding! In the end, the decision to share of not becomes yet another aspect of RA that each of us must "manage". Last Monday our local RA Support Group met for the second time and our numbers are growing! I had several folks remind me after the first attempt, not to be discouraged and to continue to offer it for several months to see if it will "catch on" and the word will get out. So that is indeed my plan. I feel that this meeting really validated the importance of RA sufferers getting together and sharing their experiences and strategies. I personally found it tremendously gratifying that all of those who attended want to meet again next month! And we will, on Monday, July 18th. It was interesting to discover what "topics" folks want to chat about. For this meeting, I spent some time distributing some handouts such as the Agenda and Group Guidelines. I suggested that folks review these and we could refine them at our next meeting. This time, because our numbers were still low, I facilitated the group and suggested we spend the time we had introducing ourselves, offering any information that anyone wanted to share and so that was how we proceeded. From there discussion items surfaced and a lively conversation to which everyone contributed ensued. A number of tips and suggestions were offered and I know several were new to me! We met for nearly 1 1/2 hours and when we concluded we all agreed that the group meeting was very beneficial, uplifting and indeed exceeded our expectations. So, I hope others will do their best to attend in the future and if there is an RA Support Group in your area, go! The key to a successful group from my perspective is to allow everyone to speak if they desire - but as the facilitator or even as a participant do your best to not let anyone dominate (the Group Guidelines are a useful tool and really lets everyone know from day one how your group will function). The Guidelines encourage paticipants to respect each speaker by not interrupting or having side conversations. Having a positive dynamic and a well thought out infrastructure may seem like over thinking it, but it truly can be the difference in a support group's success or failure. So, please consider 1) going to a local support group 2) starting one in your community if there is not one and 3) realize that this is yet another tool in managing your RA! Crying is actually good for you...no kidding! Although I don't like to cry often, it really does provide not only a good emotional release but I have discovered over the years that it also helps me physically when pain and frustration get to be overwhelming thanks to the RA. I know that seems odd, because you would think the feelings that often come to the surface with crying would actually aggravate symptoms but truly, for me, that is not the case. I used to hear that "a cry will do you good" but I never realized until RA just how true that really is! 1) Stress: Crying can lower your stress levels. Crying helps to remove some of the chemicals and hormones that are built up in the body from stress. If you compare shedding tears to shedding sweat during exercise, the same process occurs. Exercising relieves stress and removes built up chemicals in the body. However, if you hold back your tears, you can increase your stress levels which can lead to other health issues such as high blood pressure and heart problems. 2) Mood: Crying is associated with an emotional response. When tears are shed, the endocrine system releases endorphins (“feel-good” hormones) that stabilize the mood. When we cry, we give our bodies the ability to stabilize and become content again. 3) Cold and Flu Prevention: Tears are natural antibacterial and antiviral solutions that work to fight the germs that we get in our eyes. The fluid lysozyme in tears is capable of killing up to 95% of all bacteria in a matter of minutes. Just like your nose has hair and nasal tunnels to collect bacteria and germs, your eyes have tears to help prevent you from getting sick! 4) Detox: Studies showed that tears that are formed out of emotional distress or grief had more toxic byproducts in them than tears of irritation (from itching or onion peeling). 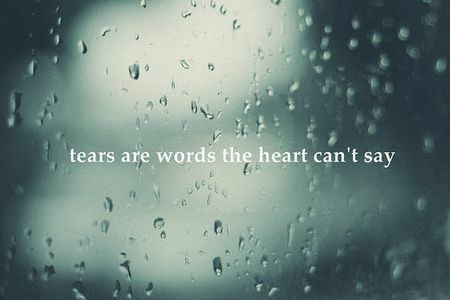 This means that emotional tears, tears made of stress, are capable of removing wastes and toxins from our body. 5) Lubrication: One of the most important things that tears do for us is that they enable us to see. Tears moisten our eyes and prevent dehydration of the membranes surrounding the eyeball. Without tears to lubricate our eyes, we would not be able to see. Sjogren's Syndrome, which often accompanies RA is an autoimmune disease that creates real issues with tears and saliva for many of us! This has been a tough two weeks for me as I have been attempting (for the third and final time!) to get off the corticosteroid that I have taken now for over 2 years at a low dose to help with the remicade infusions. It did not work and once again the pain, swelling, fatigue and this time even a low grade fever that accompanied the flare produced LOTS of tears! I noticed that each time the tears came...which I did not always allow....I felt some short time relief however brief. When I held them back I actually felt much worse and found that the days were even more difficult. Now clearly I could not spend my days crying and sobbing but what I did determine is that allowing myself some quiet time to shed some tears and really release the sadness and frustration was "healing" in its own right. I also was crying from fear to be totally honest. I had discussed with my rheumatologist at my last visit that it was probably time to move onto a different biologic DMARD and that always gives me pause. I worry about whether a new one will work, how long will it take to work, will I still need the d--- corticosteroid or will it work effectively without it and for how long? So far the longest any DMARD has worked for me is 4 1/2 years. I worry that I will exhaust all of the options and then what??? So, decisions, decisions, and with that comes fear, anxiety, stress, and eventually tears...but that is OK! As I have discovered, tears are truly one of the miracles of the human body that can actually serve a huge purpose for all of us and be yet another tool in the management of RA! I have decided to openly acknowledge that I don't seem to do very well at expressing my frustration and anger at having RA. Not sure if this is good or bad, just sayin, I read other's posts and often they are filled with wonderful, righteous anger and I wonder why I struggle with that. Is it my German ethnicity (but I am also Irish so it could either way!) - that stoic type that does not do well with expressing strong emotions of any kind, or maybe I just cannot truly accept the reality of RA? Is it that I want to move on and not let it consume me?...even though I have days where I am so sad and just cannot quite put my finger (painful and crooked I might add) on why. Could it be that I am fearful that if I go into that place of self-pity, however well-deserved I KNOW it is, that I will not get out of it? Or is it that I am really terrified that if I express it that others will not listen, truly listen to my tale and instead will reject me...I have never been very confident about myself socially so it is not a leap to assume that having a disease that not only negatively effects your health but also your appearance would limit your appeal to others beyond the current situation. I wonder if it could be that I worry that if I submit to the sadness and anger it would limit my ability to continue with my professional life and the demands and challenges that are so much a part of it...parts that I treasure and that give my life meaning and satisfaction. I know I worry that my family and friends would react in ways that I am not sure I could survive.. What does that mean exactly? Well, I hate pity, despise it in fact because it leads to lower expectations and it means giving up and giving in and feeling worthless and useless and a burden and no longer a vibrant, caring mother, wife, sister, daughter, friend, co-worker...and that would kill me. It is that simple, clear and defined for me. Staying positive, finding the joy, dragging myself out of bed (literally at times), swallowing the pain and the anger and the grief can be a good thing! I know that because 99% of the time it works for me. I just need to figure out how to embrace the other 1% and let it be OK to vent and to share and to let myself be sad in a guilt free way. I thank all of the wonderful bloggers I have recently read, including RA Guy and RA SuperBitch and all the others. There courage and ability to so articulately express the feelings I so often bury has been so liberating for me I am at a loss to truly convey its impact. I can tell you that I am typing this with compression gloves and wrist braces on AND it really pisses me off that I now need to, once again, move on to a different medication because the one I am on is failing again (this will be the 5th one) and each time this happens I struggle to stay ahead of the pain, fatigue, and yes, the depression, that comes with it. But guess what? I will do it! Because I am not ready at 57 years of age to stop the fight...I want to see all of my sons settled into a wonderful life, with rewarding and satisfying jobs, spouses and children and happiness. I want to retire somewhere really wonderful with my amazing husband so we can do all the things we love together and enjoy our sons and their families, my brother and extended family members and our friends as well. I cannot do these things if I succumb to the pull of anger and grief and sadness that at times tug relentlessly at my mind and soul. I know that with the strength that I get from my "support team" I can do this and do it while also allowing myself the necessary outlet of expressions of frustration and sadness and anger that are, I now realize, just as much a part of managing RA as any other component. In fact this may be the most important lesson yet for me to have learned. So, having just read and listened to the Spoon Theory by a young woman named Christine Miserandino who has Lupus I have to tell you that it really touched a nerve with me. 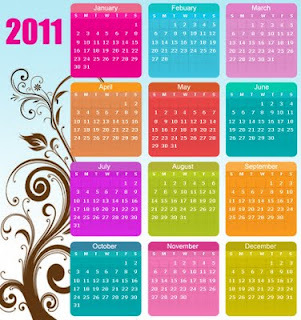 I want to thank The Rheumatoid Arthritis Guy (WWW.rheumatoidarthritisguy.com) for sharing this. He really has some wonderful stuff on his website including his own amazing posts and lots of great references like this one. So, what is the Spoon Theory and why did it touch me? Well, you can read or listen to it yourself at http://www.butyoudontlooksick.com/articles/written-by-christine/the-spoon-theory-written-by-christine-miserandino/ which I would certainly recommend if you want the full story but I am going to reflect on its meaning to me. In a nutshell, the Spoon Theory has to do with the difference in the daily options that "healthy" people have versus those of us with chronic disease. The spoons are really a prop Christine used while at a diner with her healthy friend to illustrate that if you are healthy you have an unlimited supply of spoons to "use" as you go through your day. Your possibilities and energy level are just fine, unaffected by the realities of RA. 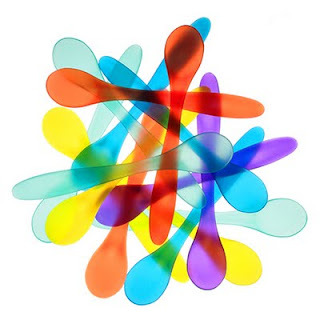 If you are not so healthy (RA and other chronic disease patients) you have a limited supply of "spoons" and you must carefully plan your day, deciding strategically what activities you can undertake in order to not "run out" of spoons before the day ends resulting in the pain, fatigue, and other realities etc. that we so often have to deal with. RA folks have limited energy, options and possibilities when we are flaring and even when are not. The key to this whole theory and how it related to me and why it so hit home is that I think I often have that "shortage of spoons" and then I wonder why I am not doing well at times. It is so hard to live with any kind of spontaneity or variety in your life (like travel or unplanned activities with your friends) and still feel well enough to function. I have not even mentioned the demands of RA on a relationship like marriage. I adore my husband and I believe we have a wonderful marriage but I know it must be so difficult for him to deal with the effects that RA has on our life together....in so many ways....yet we are doing fine and I am so thankful for that! Back to the spoons....thankfully I am person who likes order and routine to some extent and now I wonder which came first the RA or my desire for order and routine? It certainly is a good thing because it helps me manage my "spoon count" as the day goes on and just how I will "spend those spoons". I feel sorry for people who thrive on the unexpected and hate routine...managing RA would be a nearly unsurmountable challenge for them! But that is not me now so I get some "spoons" for that! This theory really drives home the need for us to carefully select what we are doing each day and to understand that we simply cannot operate with no regard for the impact on our RA bodies! That is a loss we all need to grieve to really move on....I have done that and I hope that my family has as well because everyone you are connected to needs to understand the realities of your life with RA or you will not be happy, satisfied or successful at managing your RA. Don't hesitate to share the Spoon Theory with your family, friends, co-workers, etc so that they can understand in really sharp contrast just how unique our lives are now. This will lift you up and even gain you some "spoons"! Enjoy your day. 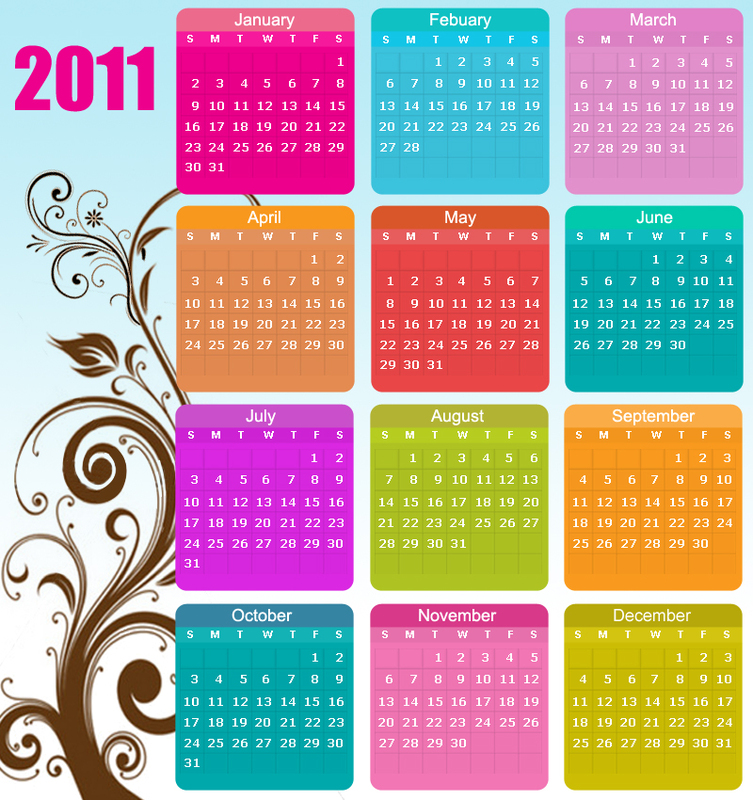 I have discovered over the years, that there are a lot, and I mean a gazillion, "tools" to assist those of us with RA. By tools I mean items like braces, ointments, supplements, etc. How to sort though them all to decide what will work for you is a real challenge. I still find it overwhelming to sift through all of it and make a sensible and smart purchase. I confess that I still "order" or purchase something that ends up being totally useless once it arrives and I have the chance to use it! I say that so that you don't feel guilty about those mistakes. We all make them and will continue to occasionally do so no matter the amount of time you have RA. Why is that? Well, because there are good marketers out there for one thing...and for every good device or product on the market there are probably over a hundred "snake oil" products and salesmen ready to pounce on the vulnerable. Plus, as folks who are in pain and looking for answers and solutions, we naturally are the target audience! So, suggestions....one thing I would do is whenever possible talk to someone who has tried the item to see what they think. How long have they had it and did it do what was advertised? Would they recommend it and why? Another idea is if you are ordering online, often there are "customer review" sections where you can see what folks think about a product...because even if it works for someone else it may not meet your needs so be sure to know why you want it and what the purpose is. Next, if you can sample a product or try it out before purchasing go for it! Then you will know for certain if it is a good idea. Another suggestion is to find out what the return policy is so that you have that option as well. If your budget is tight, this may be very helpful. Another important suggestion is to find out what your insurance might cover...it may surprise you to find out that braces or supplements like glucosamine or calcium are covered and even if they are not totally paid for by insurance you may be able to use your HSA (Health Savings Account) funds for them if you have a RX from you physician. Research is critical in everything you do in the management of RA and your "tool box" is no exception. The Arthritis Today magazine and online support as well as many other reliable sources can be relied upon to offer critical assessments as to the value of many items. For instance Arthritis Today has an annual insert that reviews the use of supplements and their value to RA patients. This is a priceless source of information! Taking the time to really consider the use of an item often leads us to "think again" and maybe step back which not only saves you frustration but also saves you money to put to a better use down the road. Ask your rheumatologist at your next visit when you are considering a supplement, device, etc. I once was planning to purchase a brace that I thought would be great for my elbow but my doctor informed me it would actually create a problem all its own so I ditched that idea. Plus, my doctor has great suggestions when I press him about things I might do or purchase. So, what do I like? Well, I am a big believer in relieving pain in ways other than traditional pain killers. Not because I am opposed to medication but rather because I take so much now just to handle the RA that if I can find another solution that works I am all for that! So, I use several things. First, neoprene braces, sleeves, etc. work great for me and I use them for knees, wrists, ankles, elbows, you name it. They keep the joints warm, supported and the compression feels good. I also love the various hand and wrist gloves and wraps that are out there. The fingerless ones are great because you can still type and do other things while your fingers are warm and comfy! Wrist splints are really helpful and there are lots of kinds that each offer different levels of support and so I have several and depending on the severity of the discomfort, inflammation and swelling I decide which one to use. I also love the stick versions of capsaicin to apply (like a deodorant stick) because if you get it on you hands and then touch your eye - holy crap does that sting! This stuff is great to roll on to your painful joint. Then, I spray on the pain free menthol products and lastly I apply a lidocaine patch to the joint....this trifecta approach works really well for me! It works especially well on the big joints like shoulders and hips for which there are no really comfortable neoprene braces that I know of. There are some home remedies that have actually worked for me as well. One is to take rice and put it in a long cotton tube sock and microwave it...time varies depending on the wattage. Then wrap that around the joint and the warm, moist heat feels amazing! I liberally use heating pads and ice packs and there is no formula for which one works when! There are times when I love the heat and times when the ice works best for relieving pain. I will say that after I exercise, I ice my knees because I know that I need to cool them down and prevent swelling. Immersing your hands in a paraffin wax bath like the ones used for manicures and pedicures are amazingly effective and provide not only warmth to your hands and feet but it makes them soft and smooth too! A nice side benefit. The right pillows and bed are crucial "tools" for getting the proper sleep. We purchased a tempurpedic bed and pillows several years ago and they have literally changed my ability to sleep longer than an hour without having to get up and move my joints! There are many memory foam beds on the market these days so if they interest you be sure to get a good one as they are an expensive, but solid investment. Most stores offer a 30-60 day trial so take advantage of that before you make such a big purchase. I could not be happier with it! The same goes for pillows. It has taken me years to find the one that works best! Sadly we have many pillows in my house that did not work and are now in the spare rooms. Speaking of sleep I discovered a great little item about a year ago for my knees. I tend to sleep on my side and so my knees rest on one another...not a good thing for many people (my husband has this problem too) as it causes pain in the knees that lasts well into the next day. Anyway, there are knee sleeves on the market that pull right up over your knee like a neoprene brace only there is a pad on the side. You put it on one knee and the other knee nestles right in the pad and SHAZAM- no pain! You can find these online anywhere and I got one for myself and my husband for about $10 each and it works great and is machine washable so don't pay a lot for one! Supplements are an interesting subject and there are books galore for you to read on this topic. Once again because I am not inclined to put any more chemical additives in my body than I have to, I limit myself to a few. Glucosamine/Chondroitin for overall joint health, calcium to prevent osteoporosis, folic acid to prevent mouth sores and hair loss thanks to the methotrexate I take, flaxseed for hearth health and eye dryness, and a really good multi- vitamin for women over 50 and I am all set. Again, research this area and be certain that you consult you physician as they need to know what you are taking! There are interactions between various supplements/vitamins and medications so you MUST inform your medical team! I consider the management of the stress that so often triggers and accompanies RA to be crucial. Tools that I recommend include massage, hot tubs and guided imagery or meditation. These have proven to work very well for me and I cannot imagine how I would handle stress without turning to these very important tools. You will find that what works for you may be quite different but be open minded about how to incorporate relaxation techniques into your arsenal of weapons against RA! So in the final analysis, researching and taking your time in making the right decisions once again is the hallmark of managing your RA! Hope your day is pain free and joyful. What's so funny about RA? At first glance, the idea of anything being even remotely funny about a chronic disease seems, well....funny in itself. Truth be told, humor is a tremendous tool in managing RA. I discovered over time, that laughter and good humor go a long way in promoting both a positive attitude and even healing. Laughter reduces the level of stress hormones like cortisol, epinephrine(adrenaline), dopamine and growth hormone. It also increases the level of health-enhancing hormones like endorphins, and neurotransmitters which reduces stress, a big flare inducer with RA. Have you ever felt like you "have to laugh or I'll cry"? Have you experienced the cleansed feeling after a good laugh? Laughter provides a physical and emotional release. A good belly laugh exercises the diaphragm, contracts the abs and even works out the shoulders, leaving muscles more relaxed afterward. It even provides a good workout for the heart. Laughter brings the focus away from anger, guilt, stress and negative emotions in a more beneficial way than other mere distractions. There are actually social benefits to laughter as well. Laughter connects us with others. Just as with smiling and kindness, most people find that laughter is contagious, so if you bring more laughter into your life, you can most likely help others around you to laugh more, and realize these benefits as well. By elevating the mood of those around you, you can reduce their stress levels, and perhaps improve the quality of social interaction you experience with them, reducing your stress level even more! So how can we integrate laughter into our daily lives? T.V. and Movies: There's no shortage of laughter opportunities from the entertainment world, both at the theater and in the aisles of the video stores, as well as at home with T.V. comedies. While wasting your time watching something marginally funny may actually frustrate you, watching truly hilarious movies and shows is an easy way to get laughter into your life whenever you need it. Laugh With Friends: Going to a movie or comedy club with friends is a great way to get more laughter in your life. The contagious effects of laughter may mean you'll laugh more than you otherwise would have during the show, plus you'll have jokes to reference at later times. Having friends over for a party or game night is also a great setup for laughter and other good feelings. Find Humor In Your Life: Instead of complaining about life's frustrations, including the discomfort and challenges of RA, try to laugh about them. If something is so frustrating or depressing it's ridiculous, realize that you could 'look back on it and laugh.' Think of how it will sound as a story you could tell to your friends, and then see if you can laugh about it now. One example for me was trying to give my dog a bath when my hands were especially painful....picture me trying to not only wash and rinse her but towel and blow dry a squirming dog all while having little to no hand dexterity....it was hilarious! With this positive attitude, you may also find yourself being more lighthearted and silly, giving yourself and those around you more to laugh about. Approach life in a more mirthful way and you'll find you're less stressed about negative events, and you'll achieve the health benefits of laughter. Fake It Until You Make It': Just as studies show the positive effects of smiling occur whether the smile is fake or real, faked laughter also provides the benefits mentioned above. The body can't distinguish between 'fake' laughter that you just start doing on purpose, and 'real' laughter that comes from true humor--the physical benefits are exactly the same, and the former usually leads to the latter anyway. So smile more, and fake laughter; you'll still achieve positive effects, and the fake merriment may lead to real smiles and laughter. Having a positive attitude through the use of humor is just another strategy in the successful management of RA. Enjoy a laugh today and see how it works for you. What do you have to loose??? ?